Have you ever used Pinterest to promote your business? Many consumer-facing businesses have had a lot of success promoting themselves with Pinterest as part of a social media marketing strategy. Recent studies have shown that “Pinterest Users Are Nearly Twice more Likely to Purchase than Facebook Users.” However, many businesses are still wondering how to promote themselves with Pinterest. As avid pinners, we thought we would share some successful tips for using Pinterest to help generate business. Posting attractive infographics on your blog or on a Pinterest board can be a great ways to promote your business on Pinterest. A well-designed and usually appealing infographic with helpful information can get you lots of pins and repins. The more links you build, the more traffic can lead back to your website. Make sure to integrate your website link to take advantage of these types of link-building opportunities. If your pin is helpful and has an attractive image, your readers will want to pin and share it with their followers. Adding your link to your pins will eventually help cause more traffic to your page and pins. Businesses need to understand that social media shouldn’t be used for direct marketing, but to help engage followers and build relationships. This is exactly how you should use Pinterest too. The main focus needs to be to engage fans and make them feel special by having them share, comment and like your pins. Selling your product should be secondary. Encouraging your readers is key to getting them to actively respond. There are many ways to do this. You can display pins of your products which lead to a landing page; you could just display them creatively to promote engagement; or you could display how your product works. One of the best ways to engage your company’s fans/followers is to show people that there’s life behind your company’s website and social media profile. You can apply this strategy to Pinterest by pinning images onto a board dedicated to just your work culture or have other employees contribute as well. Picking the perfect image to pin is crucial in Pinterest. Selecting brand-appropriate images will help you build a brand on Pinterest and people interested in that will follow you. If you take a good look at your products and services, you should be able to come up with creative ways to promote your business with Pinterest. 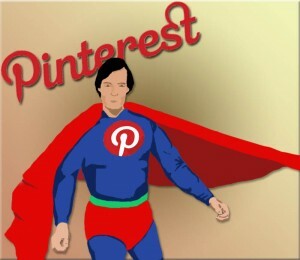 Have you have included Pinterest into your overall social marketing plan? The MARION Integrated Marketing Agency can help you achieve your internet marketing goals with our creative social media marketing strategies and tactics.